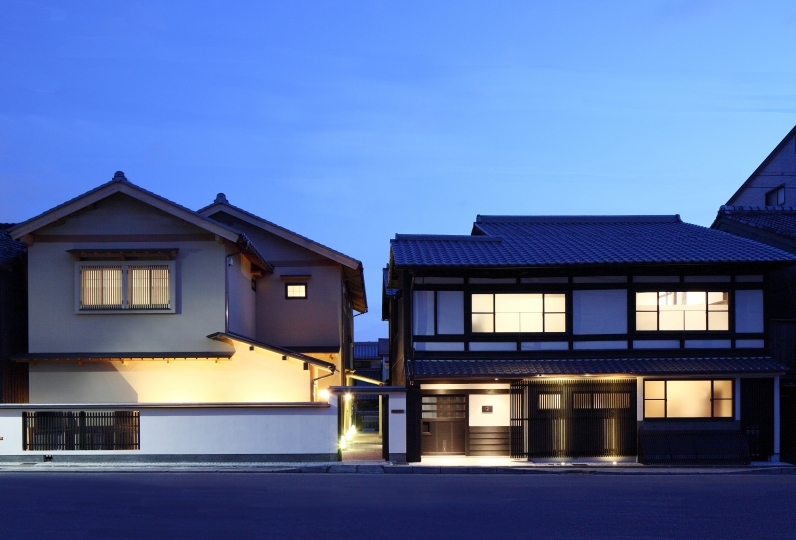 Ancient Kyoto: In this city of history and ever-changing nature there are plenty of unique emotions waiting for you. 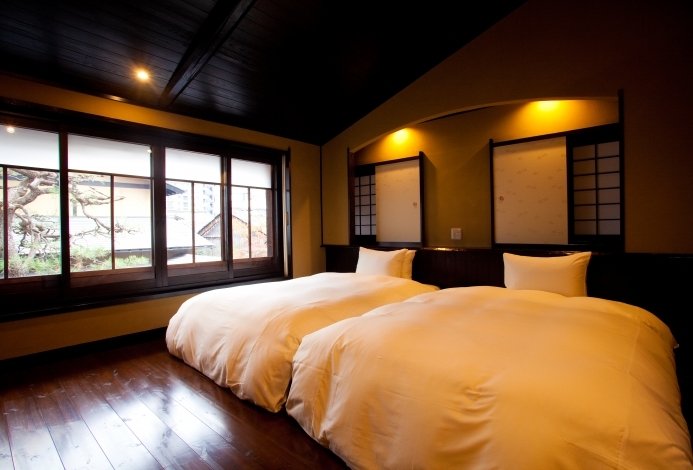 Shiki Juraku is a townhouse hotel located in the wear area from the Imperial Palace. In Japanese, "juraku" means ten ways of feeling comfortable and entertained: food, photo, flower, architecture, goods & accessories, art, gardening, body care, clothing, books. Ten Japanese masters in each field were invited to offer you a one-of-kind experience. Our 100-year building is fully renovated with different kinds of rooms to fit your taste. Here you can spend great moments as if you were a local person. Chef Kimiko Hiyamizu, a famous chef with several published books, supervises the breakfast choices and preparation. She carefully chooses seasonal ingredients for a balanced and tasteful meal. 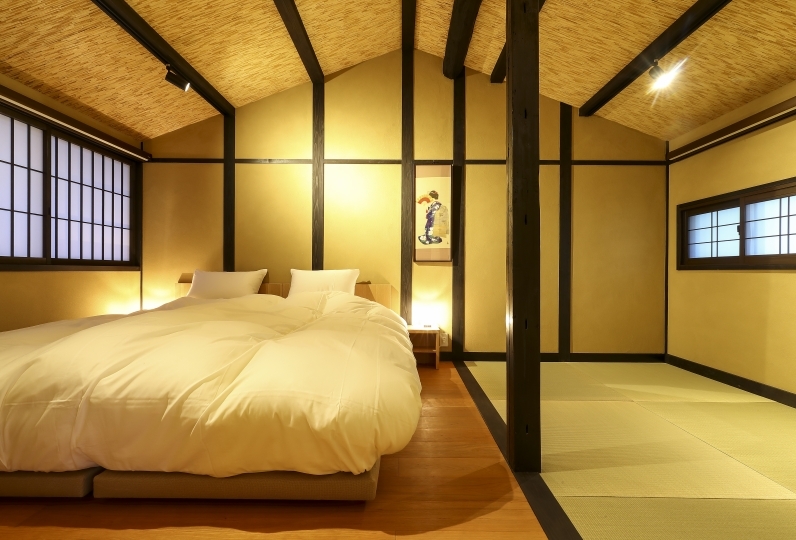 Shiki Juraku is the perfect place to deep yourself in each one of Kyoto seasons. If you stay here once you will surely feel like coming back again. 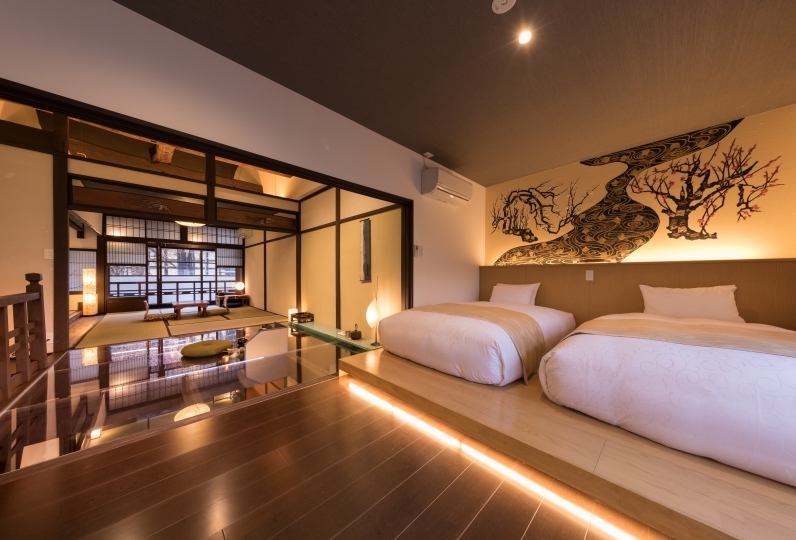 Nice place to experience Japanese style accommodation. The place is clean and tidy, staffs are very helpful too! 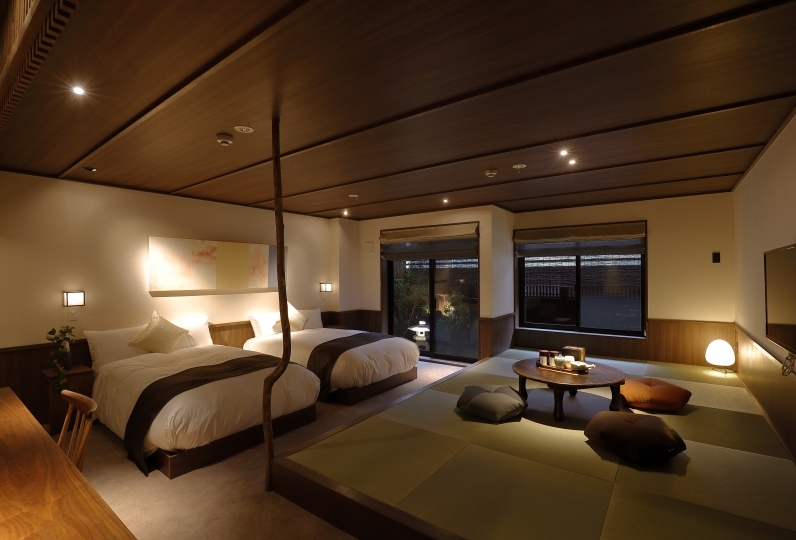 The atmosphere of the room was renovated feeling good old Machiya good feeling and it was a very nice atmosphere. However, it was somewhat dissatisfied that the room chair was somewhat unsatisfactory in sitting comfort and that it was a facility where hot water could not be brewed out in the midwinter washroom, the window on the east side of the second floor was blind, the sunrise was dazzling. Moreover, the space of the bathtub and the washing space was not divided and it was a bit difficult to use. 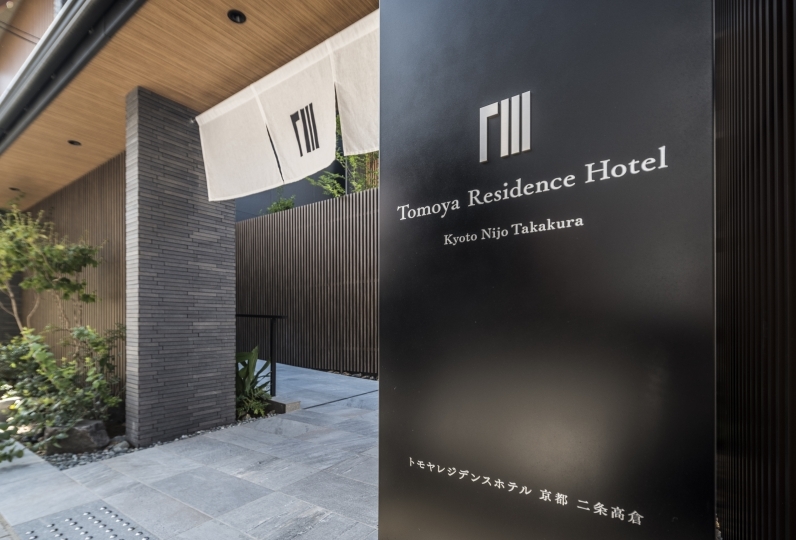 The whole atmosphere was very good, and all the staff were also good impression people, so I would like to stay again if the above contents are improved. Thank you very much. We were able to stay with 4 people and we were satisfied because there were not many large facilities. I want to stay again. From Kyoto staion, take Karasuma Line (Kokusai Kaikan direction) and get off at Marutamachi station. From exit 2, about 12 minutes walking. From Kyoto station, take City Bus 9 or 50, get off at Horikawa Shimotachiuri stop and walk about 3 minutes.